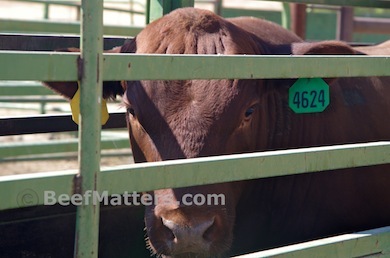 Last weekend we loaded up the kids and went to a bull sale. 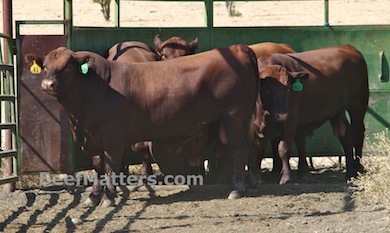 A Red Angus bull sale, to be precise. It was a good sale and lunch was delicious. (Bull sale lunches are always delicious, mostly due to the fact that I don’t have to cook!) The kids’ favorite part was the dessert table. They thought such a broad array of pie choices meant that they should sample one of each. 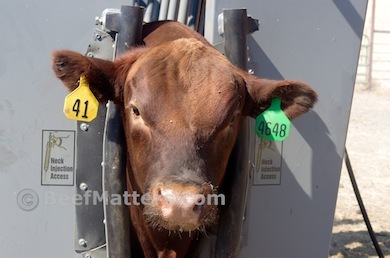 After the bulls were delivered, we put them through the chute and branded each of them. They were unfazed by this minor inconvenience. They were much more concerned about the lady with the camera asking them to pose for her. Buying bulls is one of our more exciting jobs. 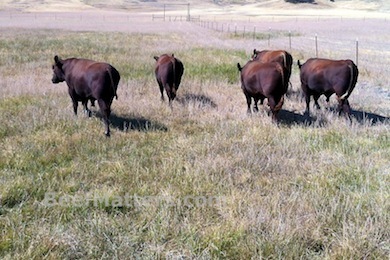 We chose these bulls because we believe they will improve our herd genetics. It will be a couple of years before we see whether we were correct or not, but the potential is there and the anticipation of the calves these bulls will produce is exciting. After their quick trip through the chute, we trailed the bulls out to pasture. We took our Top Hand with us, naturally. You’ll notice he’s not in his full cowboy uniform. Nope. Some days he wakes up and tells me he is a cowboy or a buckaroo. Other days he wakes up and is Officer Billy. This was an Officer Billy day. I am completely unable to predict who he will be when he walks out of his bedroom each morning, but no matter if he is a buckaroo, a police officer (or a pirate or Batman…) he always, always, wants to ride his horse. 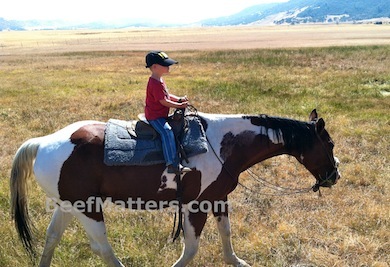 I find that reassuring; it gives me hope that he will maintain a cowboy connection and may even be a cowboy when he grows up. On the other hand, “Mother of Batman” does have a nice ring to it, doesn’t it?